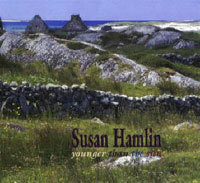 CD Description: Passionate & adventurous Celtic, Americana and World Music featuring Susan Hamlin (vocals, guitars) and guest artists from Ireland and America. Inventive arrangements of tunes and songs, A popular CD in folk and world music radio play on every continent except the ones with penguins. 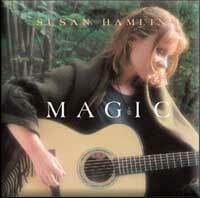 "Magic" features gorgeous studio production with Susan's vocals, guitar and an all -star guest artists including 7 Nations founding 'piper Neil Anderson, John Kirk, Peter Davis and members of The McKrells. The four originals include the funny big-band "New Age Swing" co-written with former Bitchin Babe Camille West. A "Magical" collection of songs from traditional Irish Gaelic (Mise Raftery) to passionately sung arrangements of Bob Dylan's Tomorrow is a Long Time and Ralph McTell's classic anthem Streets of London make this CD one her fans say never leaves their changer.